Patients’ lives are being put at risk by the NHS 111 helpline because call- handlers are being told not to dispatch ambulances, it was claimed last night. One call-centre mentor chillingly told trainee staff that ‘everyone in this room has killed someone’, an undercover investigation found. Patients are being denied ambulances even if they are suffering the symptoms of a heart attack, the Daily Telegraph investigation reported. The NHS 111 helpline was launched in 2013 to provide round-the-clock advice to the public as an alternative to the former advice line NHS Direct, which was run by medically-qualified staff. The new helpline was intended to prevent unnecessary visits to A&E. 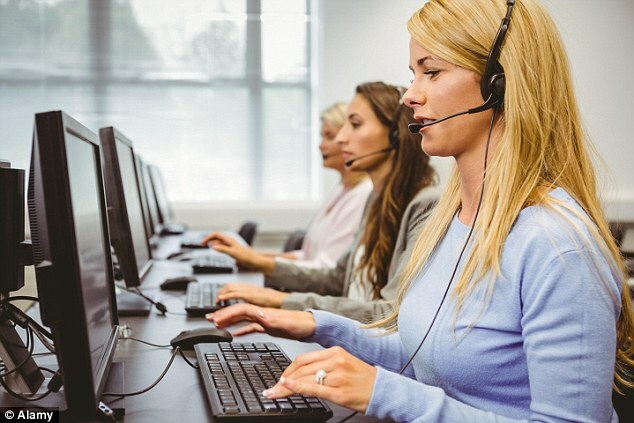 Staff on the 111helpline have previously been criticised for merely asking callers questions as guided by computer algorithms – and sending too many tohospital as a result. Call-handlers working on the service are expected to dispatch the emergency services if patients describe symptoms of serious illnesses. However, they are now said to be under pressure not to send out ambulances at certain times due to a shortage of paramedics and a backlog of requests. An undercover reporter spent seven weeks working on the 111 helpline – which has had numerous problems since its launch – in a call centre in Bicester, Oxford.